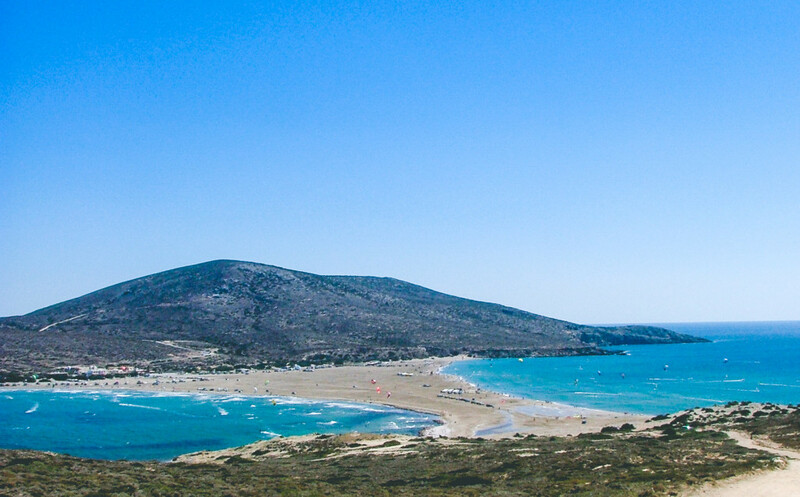 Prassonissi’s sandy beach is, most of all, a surfers paradise, the place where everything is about the waves. Located on the last edge of the island of Rhodos, in its most southern point, at about 110 km away from the capital it is the place where the Aegean sea meets the Mediterranean sea. A wide sandspit from May to October connects the main island with the rock of Prassonisi and its lighthouse but in winter storms swamp this tenuous link and render Prassonisi (Leek island) a true island.